When Mounah Jabara and his wife, Haifa Jabara, moved to Oklahoma in the 1980s from Lebanon, they saw a need for authentic Mediterranean food. Haifa, a talented home cook who learned the craft from her family, decided to fill that niche, and in the ‘90s opened a bakery and deli that sold her homemade pita bread. 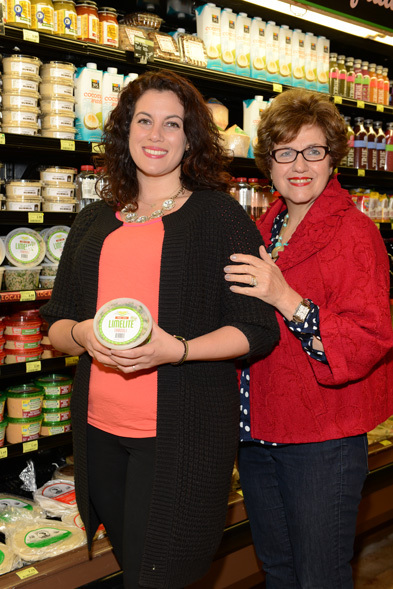 This was a time before hummus and tabouleh were staples at restaurants and in homes in Oklahoma, says Victoria Jabara Williams, Mounah and Haifa’s daughter. 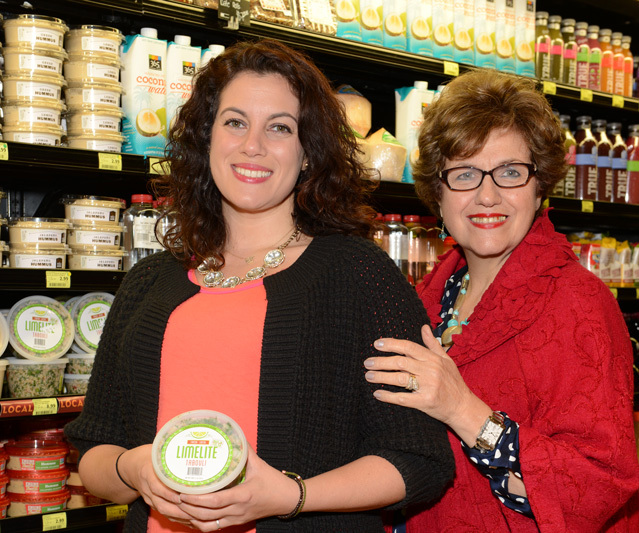 Victoria Jabara Williams and her mother, Haifa Jabara, stock Limelite Catering’s display at a local Whole Foods. Photo by Natalie Green. Today, Limelite Catering – co-owned by the Jabaras and Williams – focuses on providing tasty, homemade Mediterranean favorites for various clients. Limelite also sells its products at Tulsa Whole Foods locations and in bulk form at Petty’s Fine Foods and Nourish Café. Williams says that recipes are straightforward but are made unique because of the ingredients. “The recipes are not a secret, but my family has been making them for years,” she says. The family’s close ties to the country mean that the family uses olive oil directly from the Jabaras’ olive trees in Lebanon. Recipes used come from Haifa’s village, where she would surround herself with the elderly women of the community and learn how to make traditional foods. Toss salad ingredients in a large bowl. In a separate container, mix together dressing ingredients. Pour the dressing into the salad and toss to coat. Serve immediately so pita remains crispy.